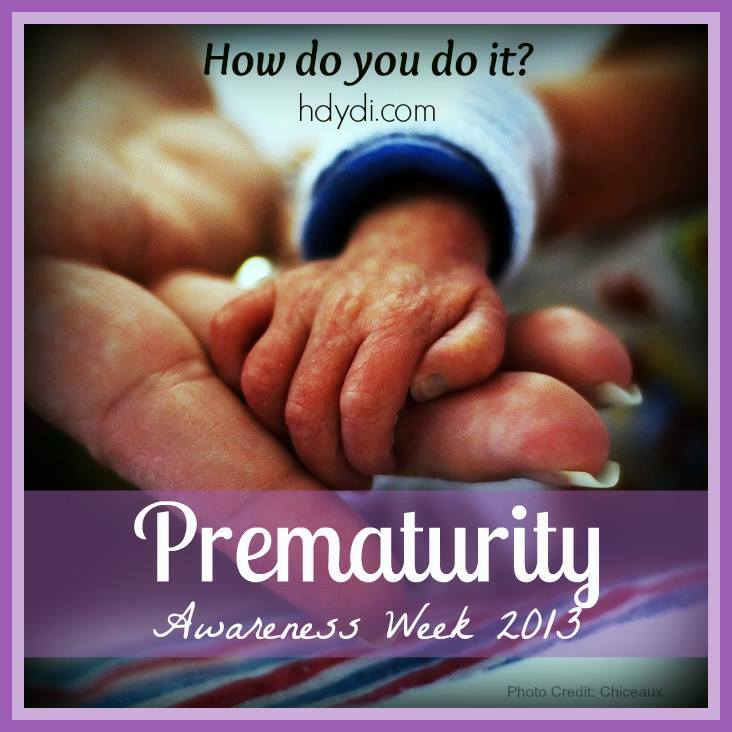 From the Archives: Prematurity and the NICU | How Do You Do It? Phthalate Exposure in NICU Babies: LauraC knows that the tubing used for her babies during their NICU stay was necessary, but still wasn’t ecstatic to discover that they exposed her sons to phthalates, substances shown to cause to affect sexual development in mice. Corn Syrup in My Babies’ Formula? Sadia finds the time to read the ingredients on her babies’ high calorie formula well after they’ve moved on to grownup food. She wasn’t happy with what she found. NICU Rules: Natasha Devalia has seen NICUs around the world and finds that each one has its own set of rules regarding how often parents can visit and what they are allowed to do. In the MoMs Club – Just Barely: Angela writes about the loss of her son Carter soon after his birth and how she’s caught between being the triplet and loss mom she is and the twin mom strangers perceive her to be. Everybody Take a Baby: Only one of Sarah‘s triplets needed to spend time in the NICU. Managing sleep with two babies at home was difficult, but doable, but added the third baby into the mix took some creativity. 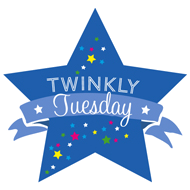 Trying Times of Twinfancy: Jamie found that it was helpful to maintain the 3-hour NICU routine on arriving home, but it couldn’t last forever. Giving Back: Margie and her boys return to the NICU, every year on their birthday, to give a little something back. The First Year: Amy looks back on her 30-weekers’ birth and NICU experience from a year later. A Preterm MoM Intro: Carolyn has three premature sons, a singleton and twins. She has jumped into the role of an advocate for preemie parents, informed by her own experience in and beyond the NICU. Prematurity Is Never Easy: Sadia tried to prepare for the reality of prematurity, but couldn’t despite her best efforts. She still carries a lot of guilt about going into premature labour. Twinfant Tuesday: Three Things That Helped in the First Year Blur: Angela‘s surviving triplets spent 4 months in the NICU and she lost sweet Carter in the hospital. Still, she and her family made it through the first year with help, positivity and organization. The Most Challenging Age: Carolyn talks about how hard the first year out of the NICU was on her. Intraventricular Hemorrhage (IVH): Littlebites‘ daughter Cameron had a brain bleed shortly after birth, and the prognosis wasn’t good. She’s turned out just fine. Halloween for Preemies! Amy had to get creative to find preemie-sized Halloween costumes. Preemie Medical Issues: Lung Function, and also Bad Teeth: Sadia discovered that her daughters’ propensity for cavities was probably a lasting effect of their premature birth. Prematurity and School: Natasha Devalia decided to delay her twins’ entry into preschool because their prematurity did make them “younger” than their peers. Medium and Happy: Natasha Devalia notes that being average is okay and for preemies, it’s pretty amazing. RSV: Sadia‘s daughters contracted the respiratory syncytial virus (RSV) when they were a year and half old. They had a relatively minor case, for preemies, but it was still traumatic. Wanted: 2 Bubbles for My 2 Boys’ Wibbly Wobbly Woes: Carolyn is patient about the ways in which her boys need to catch up with their age peers, but it’s not always easy. The Never Ending Pregnancy: Krissy‘s twins were born at 39 weeks, with no need for NICU time. Two Late to Take It Back: Birth Planning: Shawn didn’t anticipate being expected to mother her twins immediately after her C-section, but they ended up not needing to spend any time in the NICU. What Should You Know? : Sarah gives pregnant mothers a list of questions they should ask of their care providers so that they’re in the best position to make good decisions and be prepared for various possibilities. Preparing Your Financial House for Multiples: LauraC points out that NICU stays can be very expensive. It’s worthwhile to have an emergency fund in place in case you need to max out your out-of-pocket health costs. Twins and Massachusetts: Goddess in Progress discusses her reaction to an article focusing on the negatives of having twins, including NICU time. Speech Delays and Multiples: Jenna points out that prematurity is one contributor to speech delays. How to Pick a Doctor for Your Children: Sadia points out that expectant MoMs may want to seek out a pediatric practice that has experience with preemies, just in case. You may also want to check out the Infant Feeding archives for posts related to breastfeeding in the NICU and breastfeeding preemies after they’re home including Carolyn‘s Breastfeeding Buddies: Twin Brothers Nurse while Living in the NICU. [/FORUM][IMAGE]Do you have any video of that? I’d care to find out more details. Very interesting, very good story.